According to the fixtures, the 2012 KPL season will kick off on February 11th. This will be preceded by 2012 SuperSport/DStv Cup match o 4th February between Gor Mahia and Tusker FC. Gor Mahia experienced the first hiccup in their Nyanza trip on Friday 30 December when they played Kisumu Combined in Kisumu City in their only game of the day on the penultimate day of the tour. The country’s representatives in the CAF Confederations cup, with clean sheets throughout the tour, were stunned by the underdogs as they went into the break a goal down. However, they came back with a better strategy in the second half and Congolese forward Dimonde Selenga Mangili spared them blushes when he raced to a quick brace that ensured the game ended 2 – 1 in favor of Gor Mahia. Hugo Nzangu, one of the team’s main marksmen spoke to futaa.com after the game and said he was satisfied with the outcome as he feels the opposition was strong enough to have stirred an upset. 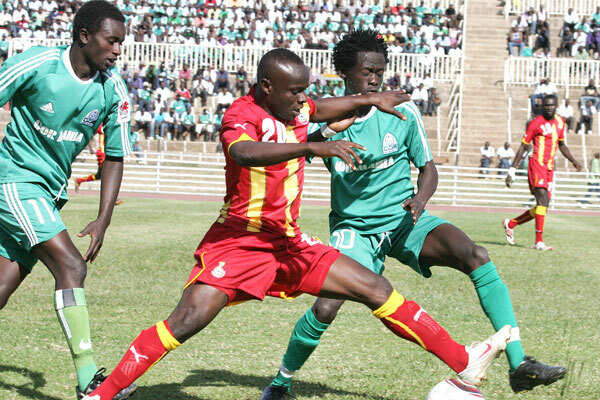 -It was a good win, because Kisumu Combined did not give us an easy time. They are a good side and from them I can say we have learnt a thing or two, Hugo told futaa.com. The win means Gor Mahia have won all but one in the tour as they prepare to finalize the Nyanza tour with a game against Bondo on Saturday 31 December. This writer was a ball boy at the Nyahururu stadium in 1988 when Kogalo went their to train for the upcoming Africa cup quarter final match against Inter Club of Congo. Every day Gor Mahia held open training sessions. 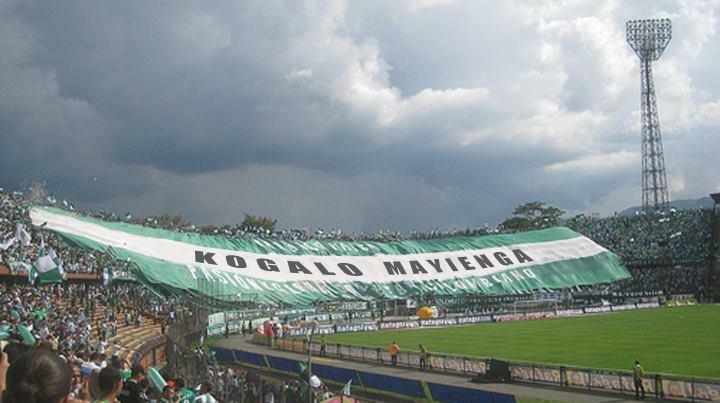 The stadium in Nyahururu would be filled to the brim with fans coming to watch Kogalo plays who had become famous after the Africa cup triumph in 1987. I would hear the locals name the plays “Oyo ni Otieno Sorro” and “Oyo ne Onyago Fudi” in the local accent. All in all it was a good public relations exercise for the club. Vice Chairman Faiz Magak has confirmed that after the Nyanza tour, Gor will organize another to Muranga, before February 2012. -Football administrators from Muranga have requested that we pay them homage, and we intend to do this in January, he told Futaa.com. -They [football representatives] have suggested 22 January, but we have to confirm on the suitability of the date with the technical bench. Gor Mahia have met all objectives they had set to, at the beginning of their seven-day Nyanza tour, which kicked-off on Monday 26 December. According to the club’s Vice Chairman, Faiz Ochieng, the team has been able to take its influence to the grassroots, ultimately winning even more fans. No chest thumping or bragging here, with the Nyanza preseason tour advancing well, Gor Mahia Secretary General George Bwana believes all the club had targeted for in the excursion has been reached and so far the tour is a success. Mr George Bwana, who was speaking to futaa.com, acknowledged that the whole event was supposed to pay off in three great ways: taking the team to the fans, trying out new players and to scout for outstanding talent; which he says have been successful so far. -We went to Nyanza for three major reasons, first we wanted our fans to meet the players since we observed that they could be starved as we play most of our games in Nairobi, we also aimed at trying out our new players so that we can know how best to use them, in preparation for next season, thirdly we also wanted to see if we can find some untapped talent and help develop. So far I can say we have achieved these, he said. The next match of the end of year tour will be against Kisumu combined. This match will be at the Kisumu show grounds. Kogalo beat Silibwet FC in a match played on boxing day at Silibwet grounds in Bomet. Gor new custodian Wycliffe Kasaya signed from Bandari made all the difference by pulling off several acrobatic saves to spare his team from further punishment. After a barren first half, Wycliffe Ochomo netted the match opener in the 54th minute after being set up by Dancan Makori. Earlier in the first half, Guest player Hugo Nzoka squandered a clear chance when he beat the entire Silibwet defence before slicing the ball over the bar. Duncan Owiti who was rarely used in the Kenya Premier League made his presence felt when he netted the second goal with a clinical finish off after finishing a good move from the midfield. The match was part of their Nyanza tour itinerary. The team will on Tuesday face off with Suba Combined before traveling to Kendubay for another friendly tie slated for later in the day. The team will then travel to Oyugis and Muhoroni on December 29th before making a stop over in Kisumu on December 30th where they play Kisumu Combined at the Kisumu Showground. On December 31, Gor K’ogalo will storm Bondo University where they will take on Bondo Combined in another friendly match before heading to Gem for a new year’s party that will be hosted by club Chairman Ambrose Rachier in his Gem house. Gor Mahia took only 19 minutes to thrash Homa Bay Combined 3-0 in a friendly match on Tuesday morning at Homa Bay Stadium. John Kiplangat 12th minute strike opened the scoring while new boy Yusuf Juma scored his debut goal in the 17th minute. Demonde Selenga sealed the hosts fate when completed the rout in the 19th minute. Gor Mahia are in Nyanza for a pre season tour. Ezekiel Odera was signed by Kogalo amid tremendous media hype. He had been one of the league’s leading scorers while playing for KCB. Fans saw him as the heir apparent to Blackberry who had just departed to Denmark. He started out brightly in pre-season friendlies, most notably the one against Ghana. 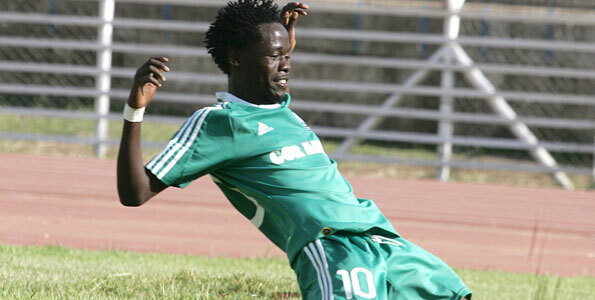 It looked like the Kogalo attack would not skip a beat with the departure of Blackberry. However he was unable to find the net often. During the first leg he scored only one league goal. Odera is a proven goal-scorer and will thrive in a different team. Perhaps the system of play at Kogalo did not suit him. Or perhaps at his age, he is not ready to play under the pressure that is playing for Kogalo. Some players thrive under pressure and some thrive only in a relaxed atmosphere with less demanding fans. Fans will remember David Odhiambo “Deo” who in the early 90s was the league’s leading scorer twice with close to 20 goals while playing for Re-Union. But at Gor Mahia he was inneffective. With that in mind, lets wish Odera the best. There is no reason that the club should hold onto him if he is not interested in staying. According to michezoafrika.com Odera thanked the Gor Mahia fans for their support to his team “It is unfortunate that I have to move, I want them to understand I need to develop my career by getting more playing time. In my few years of playing soccer, I have never received such support for my team like I did at Gor.The fans are so passionate about soccer and I hope one day most of our premier league clubs will get such support.” He concluded. He has been linked with a possible move to Rangers FC. Odera ,the 2010 second best top scorer has had a quiet season at Gor Mahia since joining the side from KCB early in the 2011 season. 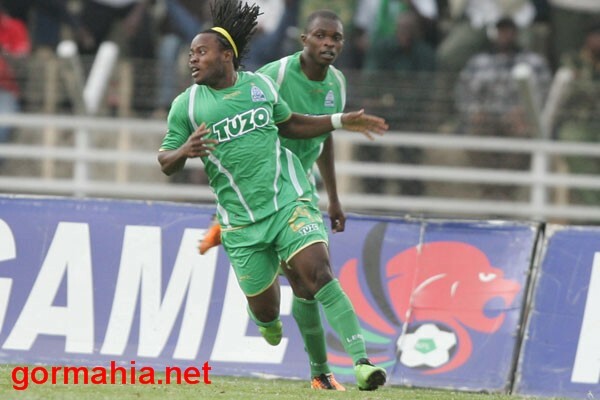 His contract with Gor Mahia will expire on 10th of January in 2012 and he has already announced he will not renew the same. He has opened talks with Rangers FC though he previously announced he could rejoin his former club KCB where he is welcome with open arms. “A player needs playing time, It is very unfortunate because I have not been able to get that here (Gor). I can’t wait for my contract to end, I will soon be a free agent to move to another club before the start of next season.” He said.